Declan Devine has left no stone unturned in his quest to have his new-look City squad ready for Friday night’s league opener against UCD at the Ryan McBride Brandywell Stadium. 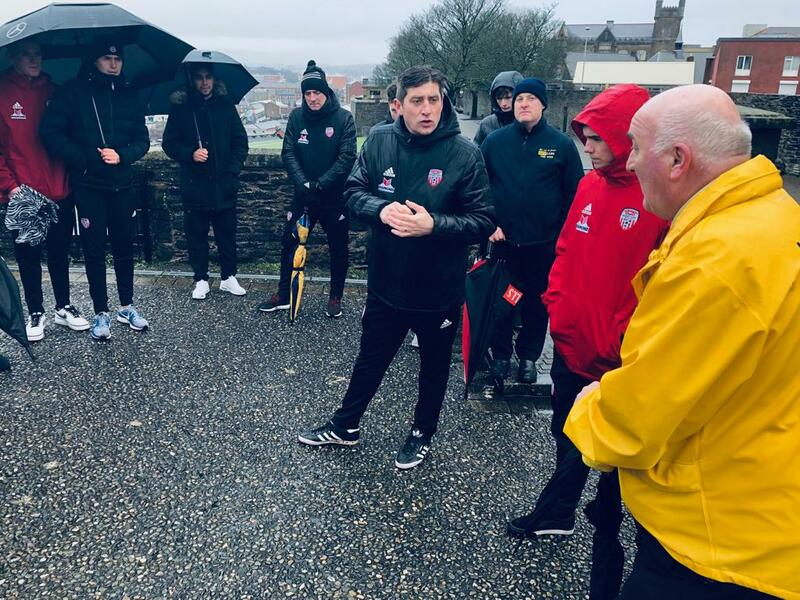 While the pre-season work may be coming to an end, the Derry boss accompanied his squad on a tour of the City on Sunday afternoon to give them a feel for their environment. Despite the incessant rain, the squad walked the walls around the city centre with the manager pointing out that this was an important part of their induction. Tickets are available online or at all outlets, info here.